I can't believe it's taken me this long to invest in a pinstripe blazer. Blazers have passed me by for years, but with the recent boom of the Prince of Wales check kind, they've been impossible to avoid. Now pinstripes are no news to the fashion world, but Arkets offering of classic tailoring is. (It's taken numerous sceptical store visits, but I can finally say Arket have won me over) From wool to polka dot jacquard, they've got you covered in the suit department. These matching trousers are now high on my wishlist. When the team over at Farfetch kindly asked me to style up something red, I embraced my appreciation for (Patrick Bateman-esque) power dressing, by layering a red v-neck cardigan underneath. There’s an uncanny power that comes with wearing bright red. It has the property of appearing to be nearer than it is and so grabs our attention first and there’s also that energising, self-esteem boost it can award you. Don’t be afraid to experiment with layering and if you’re new to the shade (or like me shy to try such a bold hue ), perhaps just add a pop of colour like this Barena V-neck cardigan. Head over to the Farfetch blog to see how six other ladies have styled different shades of the intriguing colour this season. Despite the beauty of Uniqlo's entire SS16 collaboration with Lemaire I had my heart set on one piece and one piece only from the get go. The Cashmere Blend Body. As soon as the postman delivered this ribbed beauty through my door I spent my entire morning pairing it with potential spring and summer outfits. 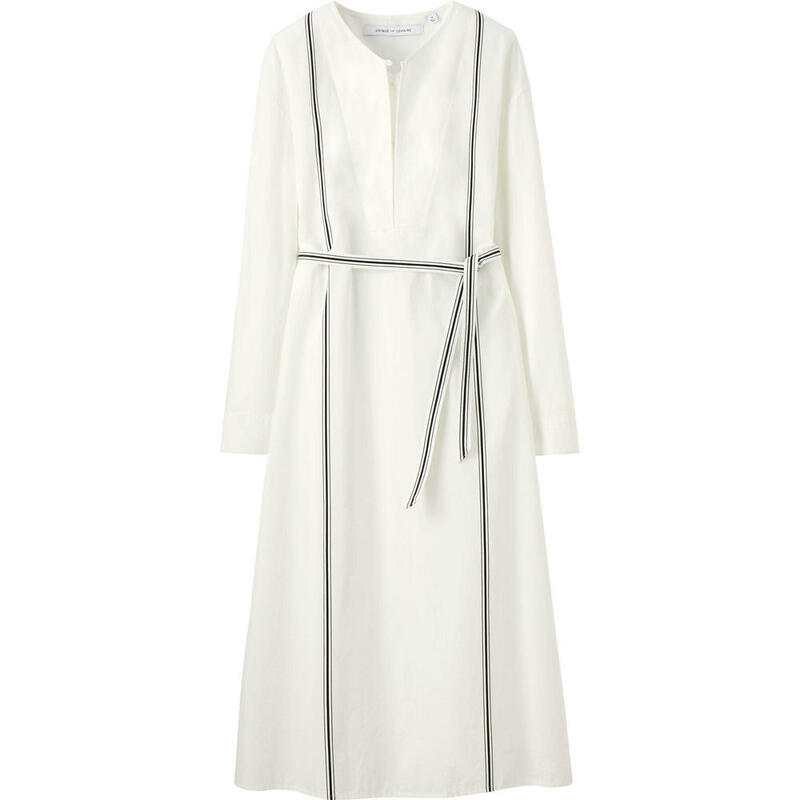 Last summer my wardrobe was severely lacking in easy to wear 'pair with anything' style basics, and maybe featured a few too many fad items so this summer I plan to build on this by introducing neutral pieces that I can rely upon, starting with this piece. Unswayed my fads Uniqlo and Lemaire, have successfully created a soft, elegant and perfectly cut body sweater. I'm already picturing this paired with wide leg denim or twill trousers and my new wardrobe addition, the Martiniano Glove Flats. January 26, 2016 in Etc. Uniqlo have teamed up with french brand Lemaire for the second and a final time bringing us another dose of reliable and timeless basics. 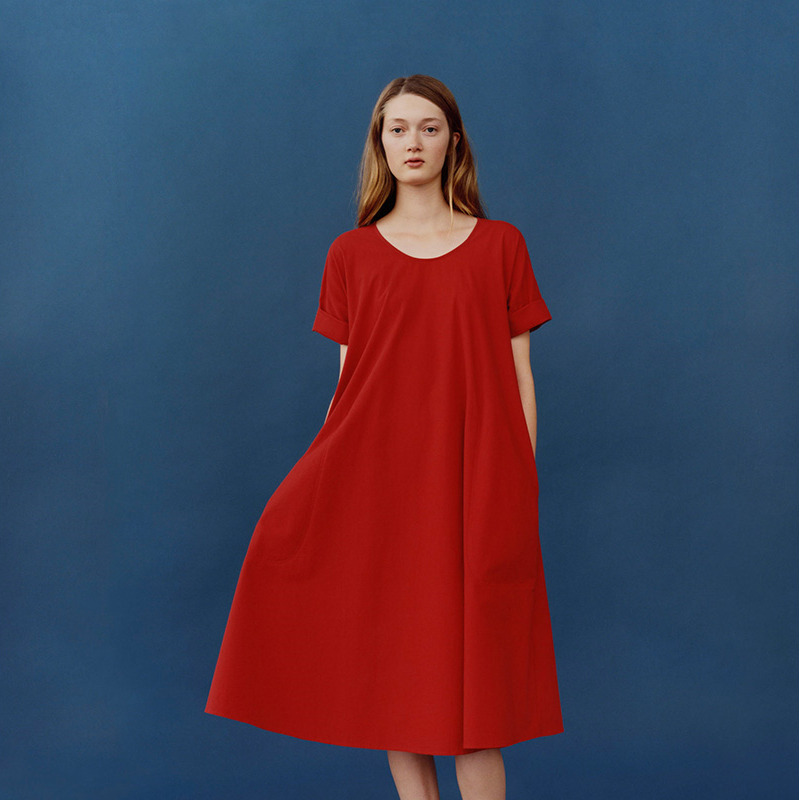 The collection is inspired by 60's summer vacations, think v-neck sweaters, wide leg pants and tie waist dresses in light weight fabrics and solid colours. While nothing is jumping out at me as a must have there are several pieces I would like to try of which you can see below. Last year, only through constant page I refreshing, I just managed to nab myself a piece (the wool trousers) from their highly anticipated AW15 collaboration and that was only 15 minutes after the collection went live. If last years selling rate is anything to go by, you're best to set your reminders now! The collection is due for release March 4.